We love a good Dole Whip as much as (or probably more than) the next guy, but sometimes we want something savory, salty, or spicy. Here are our favorite snacks for anyone who isn't in the mood for dessert yet! This is the perfect quick snack. It's huge, salty, and Mickey shaped! Add on cheese sauce or mustard for an extra boost of flavor. Who needs "movie theater butter" when you can have this freshly popped salty goodness! It's really some of the best popcorn around. For just a few more dollars, you can get a souvenir bucket to eat it out of, too! Pro tip: While you're waiting for your popcorn, check out the little guy turning the handle for the popper. Each cart has a different character that goes along with the land you're in. Can you find them all? Ok, this is so huge it's probably a meal, but I like to consider it a snack! The Disneyland corn dog is an icon. It's hand battered and fried to perfection every time you order it. There are only three places in the parks to get them and there are benefits to each place, so choose wisely. 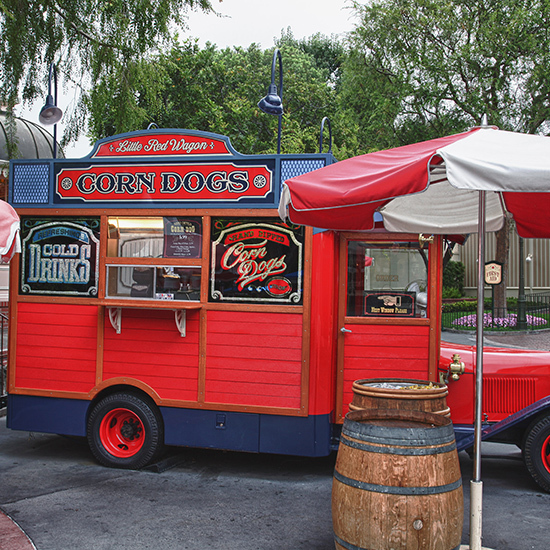 The Little Red Wagon on Main Street has a great location and an adorable theme. The Corn Dog Castle in Paradise Pier also serves a hot link corn dog and a cheddar cheese stick, which are pretty cool options if you're looking for a twist on the traditional. 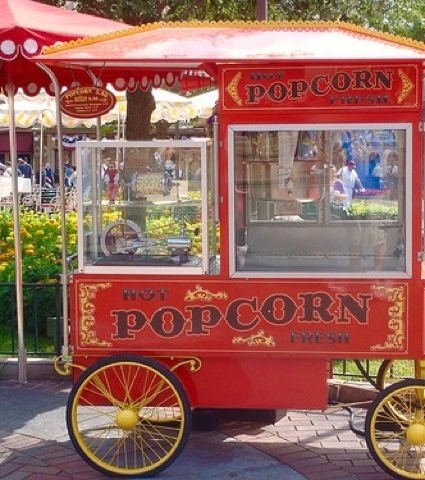 My personal favorite is the Stage Door Cafe in Frontierland. The line is WAY shorter than at the other two, they have other types of food on the menu in case you're with a group that doesn't all love enormous dogs, and, best of all, you get fries instead of a bag of Lays! Win!!! These are completely worth the wait for a table at Cafe Orleans (or make a reservation ahead if time if this is on your "must have" list!). They're french fries tossed in Parmesan cheese, garlic, and parsley. Don't forget to dip them in the amazing Cajun aioli. Attention Dole Whip a Day friends: We found the recipe to make the pomme frites at home. Let us know in the comments if you'd like us to make them and then share the recipe/results with you! 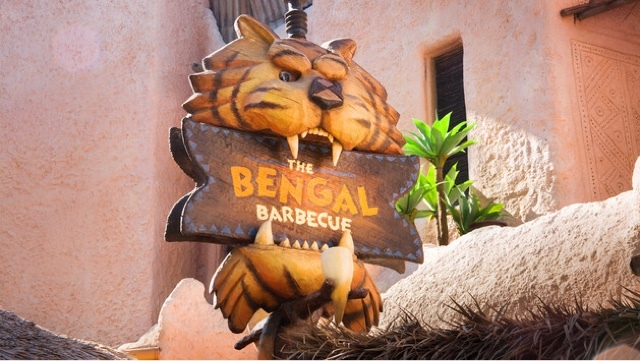 Everything at the Bengal Barbecue in Adventureland is delicious. It's kind of the perfect snack spot! But by far the best thing they have is the Banyan Beef Skewer. It's so spicy you think your face is going to melt off, but at the same time it's also really delicious so I keep coming back for more. What are your favorite savory Disney snacks? Let us know in the comments! This post is making me hungry!!! !